After an exciting Thanksgiving slate, the DraftKings' main slate appears tighter than usual with only ten games. Aside from Thanksgiving, Todd Gurley and Kareem Hunt also have byes further tightening the player pool and increasing the importance of roster construction. With that said, here are a few standout plays on the Sunday main slate. With Joe Flacco slated to miss his second game with a hip injury; Lamar Jackson draws the start against the Oakland Raiders. Jackson debuted with 150 passing yards and 117 rushing yards on 27 attempts. Oakland has allowed the second-most rushing yards in the league, providing Jackson an immense floor. As 11-point favorites, Jackson looks solid in cash. 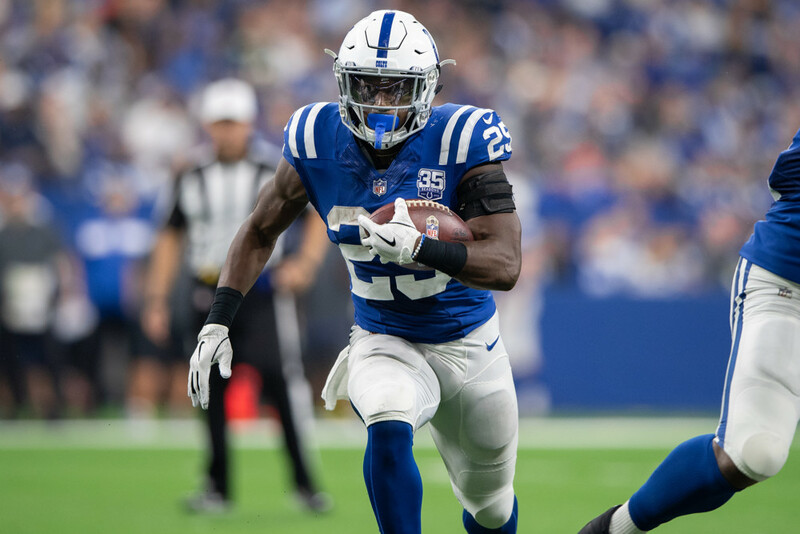 Since returning from injury, Marlon Mack has averaged 18.4 touches per game, with 13 targets in that span. The Colts draw a struggling Miami defense, allowing the third-most rushing yards to backs (1,228) and another 511 receiving yards. As a 7.5-point, home favorite, Mack provides some salary relief at the running back position for GPPs. After coming along slowly due to an in-season trade and a lingering hamstring injury, Josh Gordon has carved out a meaningful role in New England. Gordon has target counts of 10 and 12 in his last two games and now faces a Jets' defense allowing the eight-most yards to receivers (1,859). Gordon should be mixed into GPPs on this smaller slate. Breaking out in recent weeks, D.J. Moore now enters Week 12 as Cam Newton's unquestioned top receiver with Devin Funchess slated to miss this game. Moore tied for a team-leading eight targets last week and played over 70% of the Panthers' snaps for the fourth-straight week. Without Funchess, Moore should play with more secure volume, providing upside for cash and GPPs. Coming in only $200 more than Cameron Brate, David Njoku figures to see a fraction of the ownership this weekend. He also draws a superior matchup against a Bengals' defense allowing the fifth-most yards to tight ends (683). With the eighth-most targets at the position (57), Njoku's cheap cost warrants exposure in GPPs and cash alike.